Halsey Taylor is one of the leading manufacturers of drinking fountains today. 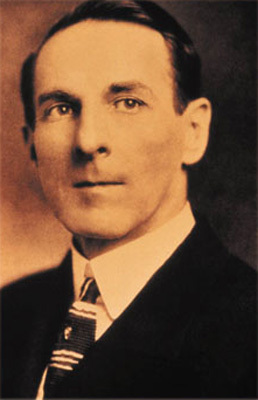 During World War I, company founder Halsey W. Taylor invented the "Double Bubbler" drinking fountain. This fountain dispensed two streams of water in an arc. Previously, drinkers commonly had to place their mouths on or near the faucet, helping spread germs. With Taylor's drinking faucet, the arc of water allowed drinkers to be several inches away from the faucet, reducing the spread of illnesses. With the invention of the Double Bubbler, demand soared for Taylor's drinking fountains. During the 1920s and 1930s, Halsey Taylor manufactured more than eighty percent of the drinking fountains in the United States. Double-Bubbler technology is still used in drinking fountains today.